To celebrate 10 years of providing access to high quality health care to Harford and Cecil Counties, West Cecil Health Center (WCHC) invites the community to attend its fourth annual gala on Saturday, April 14, 2018 at 6:00 p.m. at Rising Sun Banquet Hall. WCHC provides primary care medical services in a unique setting that integrates direct access to behavioral health, dentistry, women’s health, and enabling services. The enabling services include outreach and enrollment, transportation assistance and interpreting. Additionally, the Conowingo office offers the convenience of an on-site pharmacy and lab. As a Federally designated Community Health Center, WCHC is a 501c3 nonprofit that relies and grant funding and the generosity of donors to support its mission of ensuring every person in need of healthcare is able to receive it. With locations in Conowingo, Havre de Grace and Perryville, WCHC is a safety net provider that ensures access to care through an income based sliding fee scale which provides discounted services for qualified individuals with a household income of 200% or less, as outlined by the Federal Poverty Levels. WCHC helps people like Deborah Kraft, a grandmother who became guardian to multiple grandchildren and struggled to find time to take the children to a number of different health care provider offices prior to discovering West Cecil Health Center. Thanks to WCHC, Mrs. Kraft has a fully accessible “same time, same place” resource near her home. Now, the children can take care of all their healthcare needs in one location. 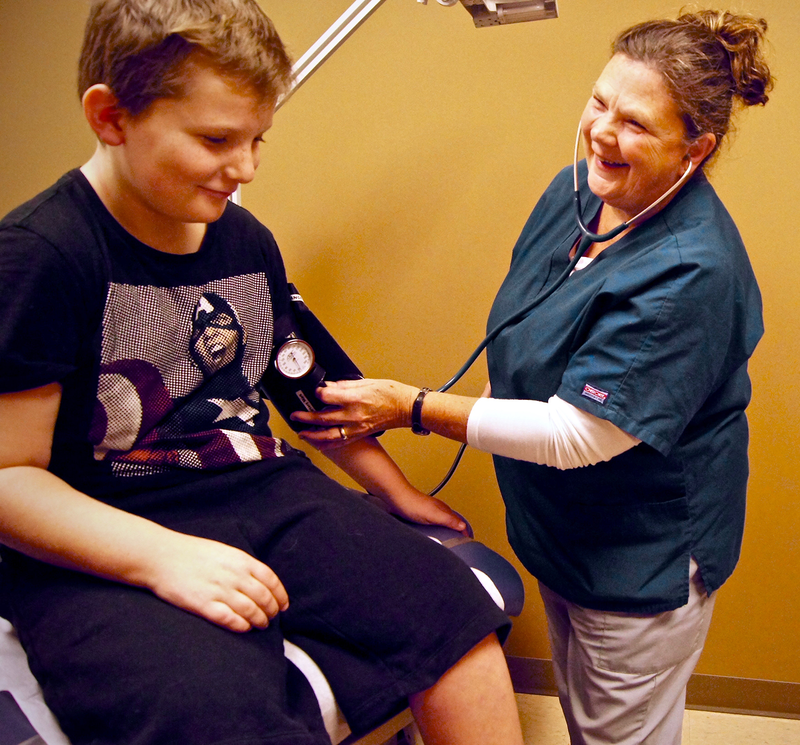 Deborah Kraft’s grandson shares a smile with Sue Biggs, CNA, MA during his check-up. Kraft credits WCHC with changing her grandchildren’s lives over the past five years. Mrs. Kraft says she experiences a personal, relational level of care with all the patients she sees when visiting the health center. WCHC seeks the community’s help to ensure a healthier future for Harford and Cecil Counties. Funds raised at the gala will go directly to providing a range of services for families in need and will ensure the health centers can continue to provide community-driven assistance. Gala guests will enjoy hors d’oeuvres, dinner, live music by the Untouchables and a variety of exciting live auction items. Tickets can be purchased online prior to March 30 at westcecilhealth.org/gala for $100 per ticket or $700 for a table of eight. Sponsorship opportunities are still available. For more information, contact Devon Ragan at dragan@westcecilhealth.org or call 443-731-3144. The gala celebration is one of ten events planned for WCHC’s 10th anniversary; for information on other events, “like” West Cecil Health Center on Facebook or visit westcecilhealth.org.